Rooms from $87.12 per night. 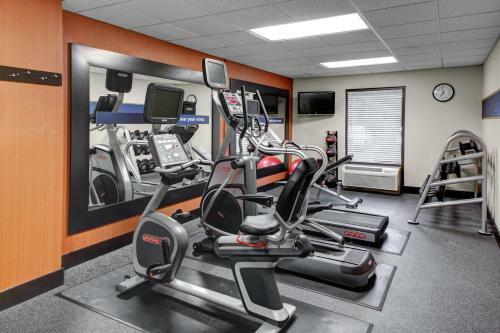 Complimentary buffet breakfast an outdoor pool and free Wi-Fi are just a few of the reasons why the Hampton Inn and Suites Atlanta/Duluth/Gwinnett County is a favorite with our guests. 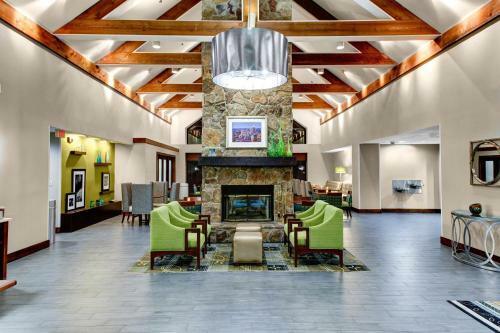 At this eight-floor 136-room non-smoking property you may feel as though you have walked into a Swiss lodge when you see the lobby's high ceilings and two-story stone fireplace. 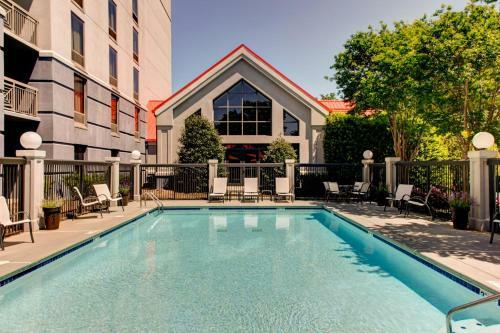 Attractively decorated suites include fluffy comforters both wired internet and Wi-Fi bathrobes couches dining areas and full kitchens with dishwashers stoves refrigerators microwaves and lots of cabinet space plus separate living rooms and sleeping areas. The hotel's airy breakfast room seats at least 40 guests and features high ceilings and large windows. 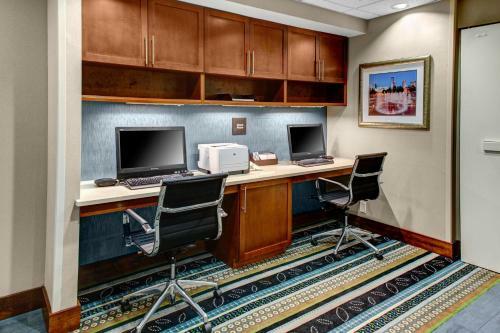 Also included are an on-site lounge meeting and banquet facilities a newsstand barbecue facilities turndown service free parking valet laundry and dry cleaning services and a business center. 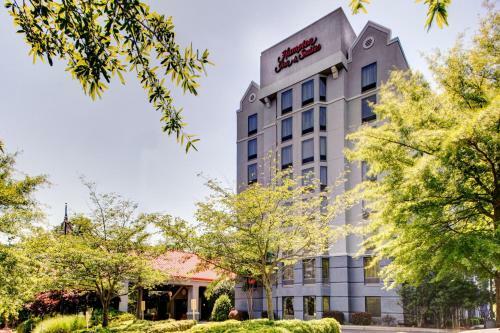 This Hampton Inn and Suites is located off I-85 and is 24 miles from downtown Atlanta. It's one mile from shopping at the Gwinnett Place Mall and five miles from events at the Gwinnett Center. Stone Mountain Park is 15 miles and Hartsfield-Jackson Atlanta International Airport is 32 miles away. Add Hampton Inn And Suites Atlanta/duluth/gwinnett County to your free online travel itinerary.